Nantahala National Forest is the largest national forest in North Carolina (531,286 acres), covering much of the western tip of the state. From Asheville, head west past the Blue Ridge Parkway to towns such as Sylva, Dillsboro, Cullowhee, Cashiers, Highlands, Franklin (gem capital), Bryson City, Robbinsville and Murphy. It offers a wealth of outdoor activities and plenty of scenic views. The Indian word Nantahala means "land of the midday sun" — an appropriate name for a forest in which deep mountain gorges and valleys are illuminated only when the noon sun is directly overhead. At 5,800 ft., the Appalachian summit of Lone Bald is the highest point in the forest. It's home to many waterfalls. Download a PDF map of Nantahala National Forest. As part of its national Treasured Landscapes, Unforgettable Experiences conservation program, the National Forest Foundation (NFF) has designated the Nantahala National Forest as a Treasured Landscape in 2017. 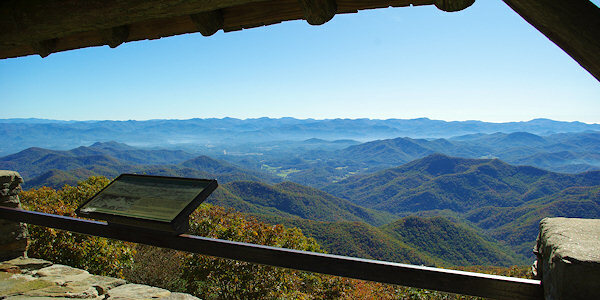 Enjoy the panoramic views from Whiteside Mountain, Wayah Bald and Wesser Bald. Joyce Kilmer Memorial Forest, with its 400-year old trees, is another breathtaking sight, as is Whitewater Falls - the highest falls east of the Mississippi. Perhaps the jewels of the Forest are the Nantahala River Gorge and Panthertown Valley. There is easy access to a wide variety of adventure on this 61.3-mile drive that winds through the southern Appalachian hardwood forest, two spectacular river gorges and rural countryside. From Highlands to Almond, the route follows US 64, old US 64, NC 1310, and US 19 through Nantahala National Forest. For the first 7.5 miles, the byway travels through picturesque Cullasaja Gorge. The winding road parallels the river's most rugged course and offers scenic views of the river and waterfalls. Two roadside must stops include Dry Falls and Bridal Veil Falls. Enjoy breathtaking mountain views from this 36-mile winding National Scenic Byway are pristine with little evidence of civilization. Stop at many overlooks, including the Santeetlah Overlook at 5,390 ft. in elevation (highest point on the Skyway). It's located near Joyce Kilmer Memorial Forest and is a favorite for motorcycle and sport car drivers. See our Cherohala Skyway Guide. Hundreds of miles of hiking trails wind through Nantahala. It's a great place to enjoy the peace and wonder of nature, whatever your hiking ability. A favorite hike is Whiteside Mountain, located between Highlands and Cashiers off U.S. Highway 64. Whiteside Mountain stands as a landmark along the eastern continental divide. It rises more than 2,100 ft. from the valley floor to the summit at 4,930 ft. The south face contains magnificent sheer cliffs ranging from 400 ft. to 750 ft. in height. A 2-mile loop trail takes hikers along the ridge of the mountain and provides spectacular views to the east, south and west. See our Guide to Whiteside Mountain. Wayah Bald (pic) has a vantage point 5,200 ft. in elevation where, on a clear day, you can see north to the Great Smoky Mountains in Tennessee and south into the rolling hills of Georgia. See our Wayah Bald Lookout Tower Guide. Panthertown Valley has 30 miles of trails. Hike, mountain bike or ride your horse in this beautiful gorge with towering granite domes and waterfalls, including the beauty Schoolhouse Falls. See our Panthertown Valley Guide. The Appalachian Trail offers a variety of hiking options in Nantahala Forest. A great hike near Wayah Bald is taking the AT south to Siler Bald. The trail leaves the road just east of the gap at the picnic area. Go 1.7 miles to a blue-blazed side trail on the left toward the Siler Bald Shelter and expansive views from the summit of Siler Bald (5,216 ft.). The side trail is 1.1 miles and ends at the AT, about 1/2-mile farther south. Head back toward the car for a rewarding 4-mile round-trip hike. See Gorges State Park for waterfall hikes to Rainbow Falls and Turtleback Falls. Also, see our hiking guide and read about Zipline Tours. 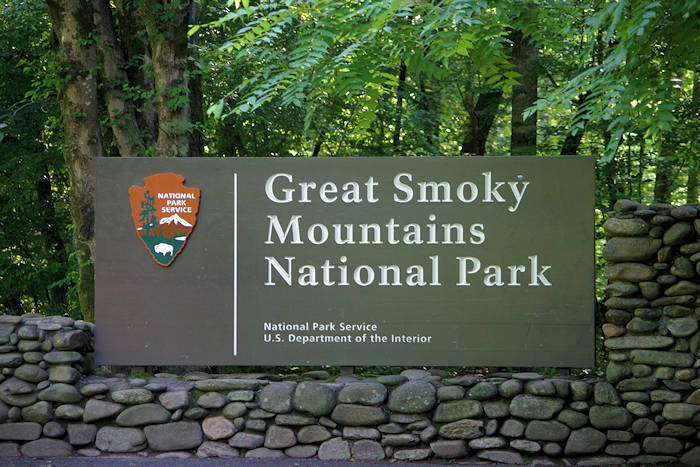 The Nantahala National Forest offers full-featured campgrounds as well as primitive and group campgrounds. Nearly all the campgrounds in the forest are located near a lake, river or stream — they include Chain of Lakes, Hanging Dog Recreation Area, Jackrabbit Mountain Recreation Area, Fires Creek, Tsali Recreation Area, Horse Cove Campground Area, Cheoah Point Recreation Area, The Snowbird Area, Cable Cove Recreation Area, Rattler Ford Group Campground and Big Santeetlah Creek. See our camping guide for details. Download the PDF of Official Nantahala Forest Camping Guide. And see Bear Safety Tips. Bike and horseback ride along Fontana Lake, with camping and boat launch facilities. Several loops provide up to 42 miles of challenging trails rated as "more difficult" — but even if you're just learning to pedal, you'll find a variety of low-impact routes that wind their way through the forest. The Left Loop, a 12-mile trail along the edge of Lake Fontana, was rated as one of the 10 best rides in America by Bicycling magazine. Read more about Tsali mountain biking. A walk through Joyce Kilmer Memorial Forest is a journey back in time through a magnificent forest with towering trees as old as 450 years. Some enormous tulip-poplars are more than 20 ft. in circumference and stand 100 ft. tall. The floor is carpeted with wildflowers, ferns and moss-covered logs from fallen giants. The figure-eight Joyce Kilmer National Recreation Trail covers 2 miles and has 2 loops: the 1.25-mile lower loop passes the Joyce Kilmer Memorial plaque, and the upper 0.75-mile loop swings through Poplar Cove—a grove of the forest’s largest trees. 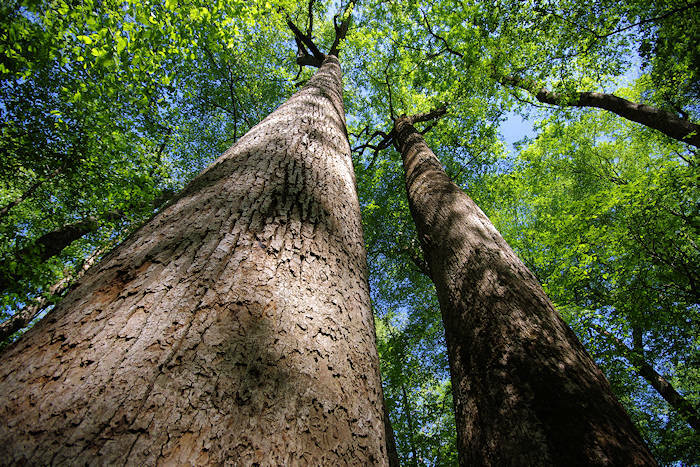 See our Joyce Kilmer Memorial Forest Guide. NOC's big Nantahala River campus offers rafting, zip lines, treetop adventures, paddleboards, hiking, biking, fishing and more for the whole family. It's like Disneyland for lovers of the outdoors! Near Bryson City. 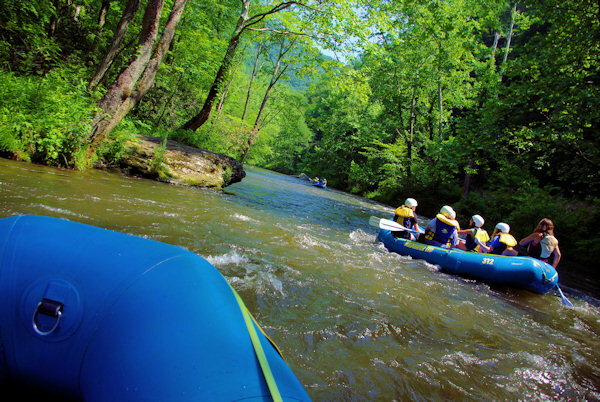 The most popular river for whitewater rafting and kayaking is about 12 miles west of Bryson City in the beautiful Nantahala River Gorge. The site of the Freestyle Kayaking World Championships, find class II and III rapids, along with calm sections perfect for a dip. Fun for ages 7 and up, with no experience necessary. Choose from nine outfitters, all offering a variety of options. The Nantahala National Forest is a great place for water lovers. Along with the namesake river and gorge, there are impressive waterfalls, including Upper Whitewater Falls. See the many waterfalls near Highlands & Cashiers, including Glen Falls, Bridal Veil Falls and Dry Falls. Dill Falls is an easy hike. A great swimming hole and beautiful waterfall setting is Silver Run Falls. River rats can paddle through surging whitewater down the Nantahala River — a nine-mile stretch of world-class whitewater that rips through the dramatic Nantahala River Gorge. The Nantahala, or "Nanty," as locals call it, is a class II-III river — kayaks, canoes and rafts are the vessels of choice. 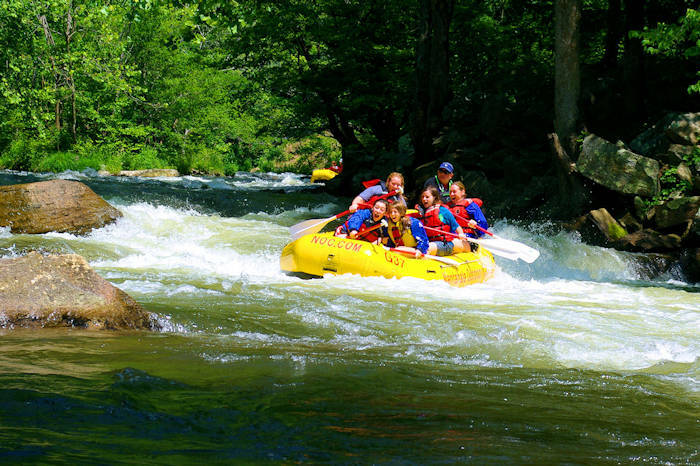 The Nantahala Outdoor Center offers a variety of river trips suitable for first-timers and experienced rafters, along with zip lines, biking, shopping and dining. See our Asheville Whitewater Rafting Guide. At Lake Chatuge and Fontana Lake, you can reel in jumbo-size bass, sunfish, walleye and catfish. If it's trout you're after — try the Chattanooga River, the Upper Nantahala River, Standing Indian's Kimsey Creek and Park Creek. Also, see our fishing guide. Three Wilderness areas are located within the Nantahala National Forest. Ellicott Rock Wilderness is located near Highland, North Carolina at the intersection of North Carolina, South Carolina and Georgia, with 3,900 acres (16 km²) in the North Carolina portion. The Southern Nantahala Wilderness includes 10,900 acres (17 sq mi; 44.1 km2) in the North Carolina portion and lies in the Tusquitee and Wayah Ranger Districts. Joyce Kilmer-Slickrock Wilderness includes another 13,100 acres (53.0 km2) in North Carolina. These wilderness areas provide an opportunity for solitude in a rugged, natural setting. The Forest manages two Off - Highway Vehicle areas. The most famous being Tellico OHV area located in the Tusquitee Ranger District, and additional OHV areas are located in the Highlands Ranger District (Nantahala Ranger District). Nantahala National Forest is divided into three range Districts, the Highlands Ranger District (now Nantahala Ranger District, and consolidated with the Wayah Ranger District), the Tusquitee Ranger District, the Cheoah Ranger District and the Nantahala Ranger District.